Our oldest daughter is in 1st grade. She's a reader. Not really sure how this happened. I didn't teach her. I think she had great teachers but there are a lot of kids in those classes and we didn't practice at home. It actually was a surprise to me last year in kindergarten when she flew through the "take home" books. Flew as in from where she got the book out of her backpack in the laundry room to the 20 ft it takes to get to the kitchen table where I thought we would hash out this reading thing. 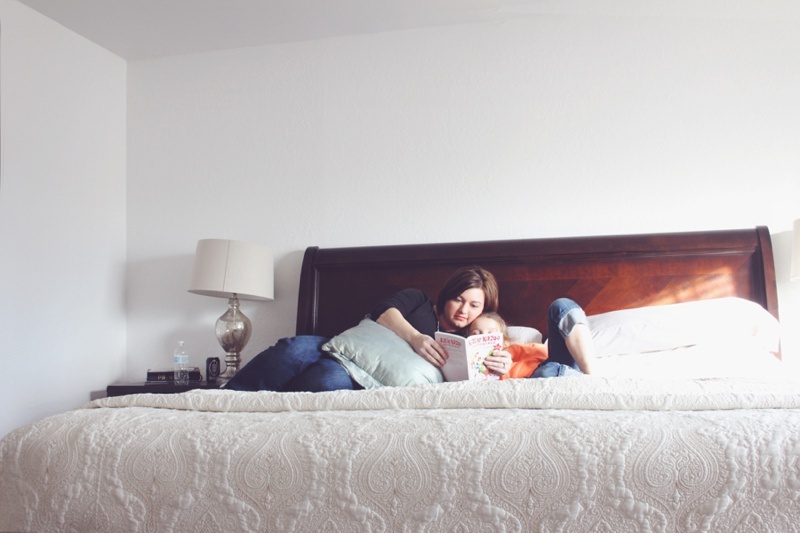 Reading is her gift (other things are not) but reading is! She just "gets" it. I graduated from college with a teaching degree and spent time helping little ones during my student teaching to sound out letters in hopes that they will figure out the word by the end. We've never done that together and that is a gift to me. I never taught school past student teaching and reading may be why. I have a feeling with some of the others we will go through that process. One of the joys of my day is if everything (naps) goes as planned I get 30-45 minutes of uninterrupted time with Savannah after she comes off the bus. And some days she chooses to read. I get to snuggle with her and hear the gift that has been given to both of us. She is growing up so fast and I'm doing my best to enjoy and remember these moments! Although on this particular day post Valentine's it was a Christmas book. 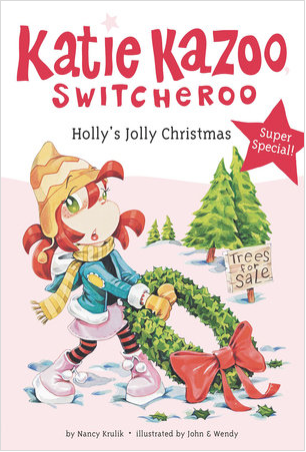 Katie Kazoo Switcheroo's Holly Jolly Christmas.